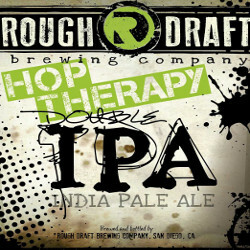 As creators of Hop Therapy, we hereby refute any speculation that this product offers any sound, professional advice on making up with your better half, resolving any deep-seeded issues with your parents, or helping discover the meaning of life. Although this is an awesome-tasting double IPA that, sure, you’ll savor with every sip, we’re pretty certain it hasn’t received its doctorate in anything. And it definitely won’t charge you by the hour up the wazoo. Hop Therapy pours a very clear amber color. Active streaks of bubbles stream up to the inch of fluffy sea foam floating atop the liquid. I very much liked the smell of this beer. It starts with a pleasant aroma of grass and grapefruit. Hints of orange rind, pine, and a sweet touch of honey round things out. As the beer warms these enjoyable scents coalesce into a more medicinal aroma that isn’t nearly as appealing. Here’s where the beer firmly established itself as a Double IPA. It begins with a big dose of grass and pine hops. A honey/malty sweetness comes through in the middle, but it isn’t quite able to cut through these hops. Faint notes of grapefruit appear near the end, but run into the same problem as the maltiness. Mouthfeel is medium and very IPA-y. AKA, it dries out your mouth and leaves some sticky hop residue behind. 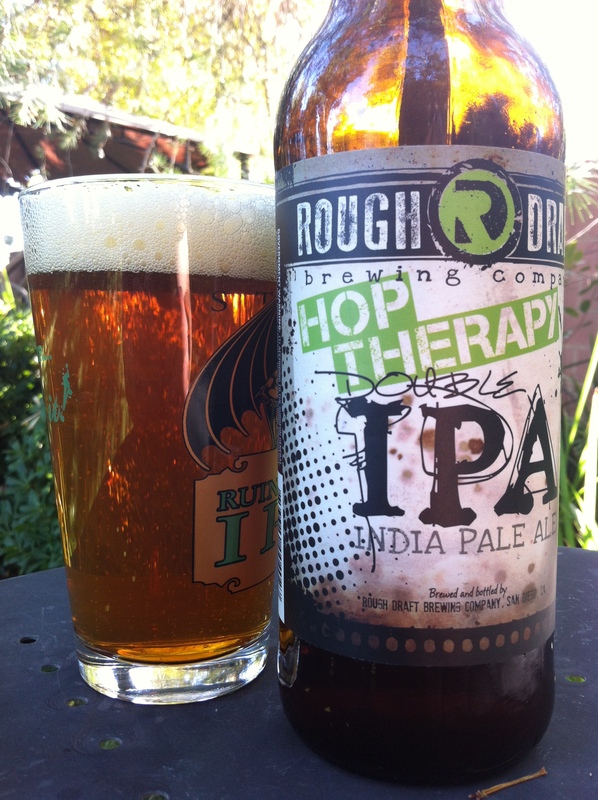 Hop Therapy is a very respectable Double IPA. The nose doesn’t hint at how big this beer actually is, but the secret doesn’t last long once you take your first sip. I’m always glad to see a hop bomb that is willing to mix in the grassy hops along with the evermore popular pine and citrus flavors. This was my introduction to Rough Draft and I must say I’m interested to try more of what they have to offer.